Cancellations and Refunds: All cancellations are to be in writing and must be acknowledged by the booking company as having been received in order to be accepted as a valid cancellation. **Unfortunately we cannot offer refunds within the cancellation periods as a result of airline delays, strikes,political unrest, weather conditions, travel advisories or acts of God including hurricanes or personal emergencies. We strongly recommend travel insurance in order to safeguard against such potential circumstances. CHECK IN/OUT Check-in is 3:00 p.m. local time and check-out is no later than 11:00 a.m. local time on departure date. Early check-ins/late check-outs must be authorized in advance. All guests will be required to provide a copy of their passport and provide some identifying information, including an emergency contact for every guest. Management is required to collect this information by the Belize Tourism Board. For more information on how we protect your personal information, visit www.sirenianbay.com/privacy. COMPLIMENTARY AMENITIES Sirenian Bay Resort & Villas provides the following complimentary amenities for guests’ use. Please check with your host for access: Swimming pool and hot tub; Beach and pool furniture; Beach toys and games; Fully furnished vacation home; Fully equipped kitchen; Linens, including beach towels; Bicycles (and helmets); Kayaks; Paddle boards; Life jackets; Yoga mats; Green Egg charcoal grill. We also provide the following personal care amenities: Shampoo, conditioner and body soap (refreshed upon request); Hair dryers in each bathroom; All household paper products (toilet paper, paper towels, trash bags) are refreshed during daily housekeeping and upon request; An introductory supply of coffee and laundry soap/fabric softener (additional quantities must be purchased by Guest. Please consult your host for information on where to purchase these items.) A welcome basket of fresh, local fruit. Other amenities may be available; please check with your host. 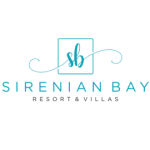 Villas at Sirenian Bay Resort & Villas are not handicap accessible and we do not provide additional linens or special items for younger children such as highchairs or cribs. ACCESS TO PROPERTY In most cases, the on-site hosts will provide access to the property, through the front door or garage. Guest may request a key to the front door of the villa. Keys are not provided to supplementary doors. Garage door openers and codes are not provided to Guest. A charge of$25 per key may be assessed for lost or unreturned keys. POOL & BEACH RULES Children under the age of 13 are permitted with adult supervision only. NO DIVING is allowed. There is no lifeguard on duty at the pool or on the beach at any time. Life jackets are required for all water activities, including but not limited to use of kayaks and paddle boards. DAMAGE WAIVER A non-refundable damage waiver premium of $59.00 is collected for each reservation. This waiver provides for up to $1,000.00 of non-intentional damage to the property. The person named on the reservation and all guests staying on the property will be covered for the reported accidental loss or damage up to the maximum coverage limit. This does not negate your responsibilities as a tenant. You must immediately notify your host of any damage to the property or this plan is void. This waiver does not cover theft, gross negligence, willful or wanton conduct, intentional damage, lost keys, lost garage openers, excessive wear and tear, unauthorized late check-outs, pets, smoking or any other violation of our policies. Additionally,you authorize Management to charge the credit card on file with any additionaldamage costs. NO SMOKING/PETS Smoking and pets are not allowed in or on the premises at any time. Violations are not covered under the damage waiver. Violation of this policy will result in immediate eviction, forfeiture of rent, and extra charges for restoring the property to its original condition. DAMAGE Guest agrees that Management can charge additional fees to cover: Damage to the property or its equipment; Unauthorized pets; Smoking on the premises Where loss or damage to the property exceeds $1,000.00, Management will bill the Guest for the shortfall, and the Guest agrees to pay within 14 days. In the event that the Guest fails to pay any such shortfall, Management reserves the right to exercise any legal remedies to pursue the amount owed from the Guest. Where Management finds damage or loss to the property following the Guests departure that, in the view of Management, constitutes malicious or wanton damage,Management reserves the right to notify law enforcement authorities and prosecute, in addition to billing the Guest for the full amount of repair or replacement, and the Guest agrees to pay within 14 days. CHECKOUT PROCESS Prior to check out, your host will go over your account and review all charges incurred while staying at the Property. The remaining balance will be charged within five business days of checkout either to the credit card on file or another payment method specified by guest on the checkout form. The host will also walk through the property with Guest to ensure no belongings are left behind. Any damage found during this process will be reported and handled in accordance with the Damage section of this Agreement. Items left behind cannot be shipped to guest. If possible, items may be returned to the States at a point in the future whereupon Guest will be notified and can arrange shipment to their address of choice. POLICIES The Villas at Sirenian Bay Resort & Villas will be used as a residence ONLY. Occupancy is not to exceed the sleeping accommodations as advertised according to the beds within the property. Only registered guests are allowed to stay overnight and/or use the pool, palapa, and other amenities of the property. We accept Visa, MasterCard,Discover and American Express credit cards. **Unfortunately, we cannot offer refunds within the cancellation periods as a result of airline delays, strikes, political unrest,weather conditions, travel advisories or acts of God including hurricanes or personal emergencies. We strongly recommend travel insurance in order to safeguard against such potential circumstances. If you'd like to keep up with the latest events, offers, specials, and news from Sirenian Bay Resort & Villas, please select YES! If you select "no, thanks" we will only email you with information related to your upcoming reservation (this may come in several emails prior to your stay), but will not add you to our newsletter. Don't worry - we hate SPAM too, so we promise not to share, sell, rent, or otherwise disclose your personal information. And we won't overwhelm your inbox! YES! I want to know about upcoming events, special offers, and news from Sirenian Bay Resort & Villas. No, thanks. I understand that I will receive emails related to my stay, but no other offers or news. Sirenian Bay Resort & Villas offers guests a boutique Belizean experience. Located north of Placencia Village on the Placencia Peninsula, the resort offers three villas and several one- and two-bedroom cabanas.